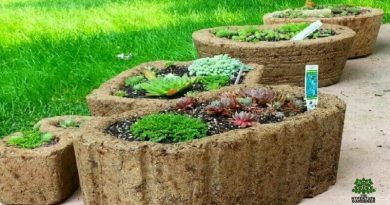 Hypertufa Pot Designs For My Houseplants? Let’s Give It A Go! In this ongoing saga about my obsession with House Plants, the indoor kind, I am now trying my best at incorporating Hypertufa Pot Designs for my newer purchases. It is kind of exciting to check out a plant and then decide what shape of hypertufa mold I might want to use to get the best look for my Aloe or my new Pilea. But it is fun to make something just right for just the right plant! I re-arranged my garden shop and its lighted shelving so that I can take advantage of both sides of the shelves. Previously I had them lined up against the wall, but I have pulled them forward and made them all parallel to each other so that I can walk behind and in front of at least two of them. Gives me better access to all the plants. 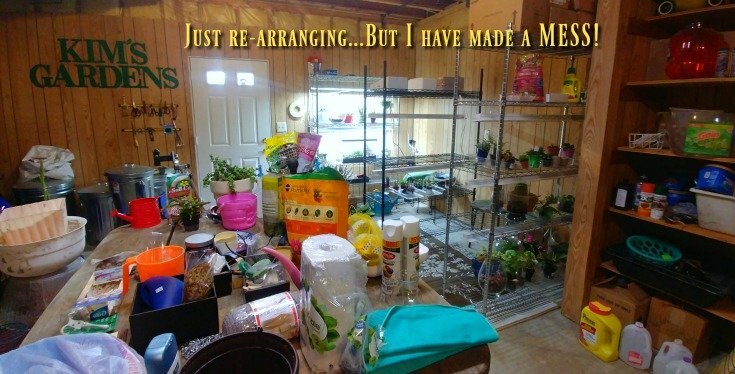 But I have created such a mess to have to put away again! And the collection is growing upstairs too. 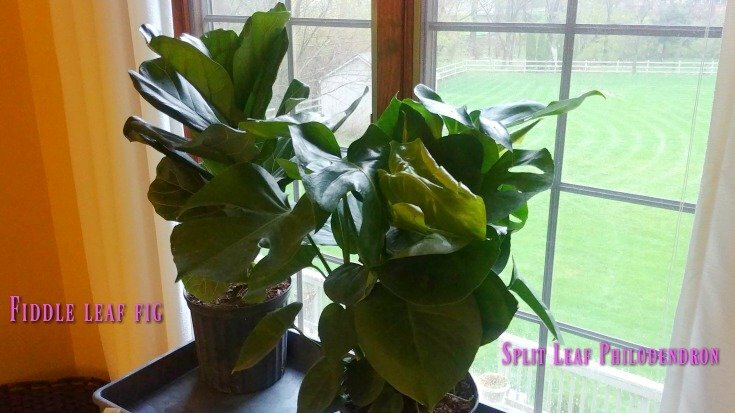 My daughter just brought home a Ficus lyrata or Fiddle Leaf Fig and a Monstera deliciosa or Split-Leaf Philodendron. These were large plants in approximately a gallon and a half nursery pots and they are thick and full and about 4o” tall including the pot. So exciting! 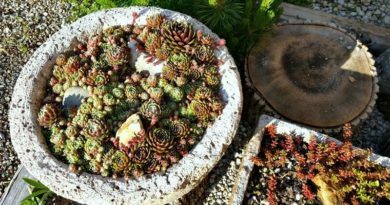 I may make some hypertufa pot designs for them, but at the present time, they will just go into some other ceramic pots I already have. These will probably be floor planters. Wondering how long it takes for these to get really huge? As you saw in another recent video, I bought an Aloe plant that is pushing out flower stalks (which are still yet to bloom), and I chose a mold to use as a planter for it. 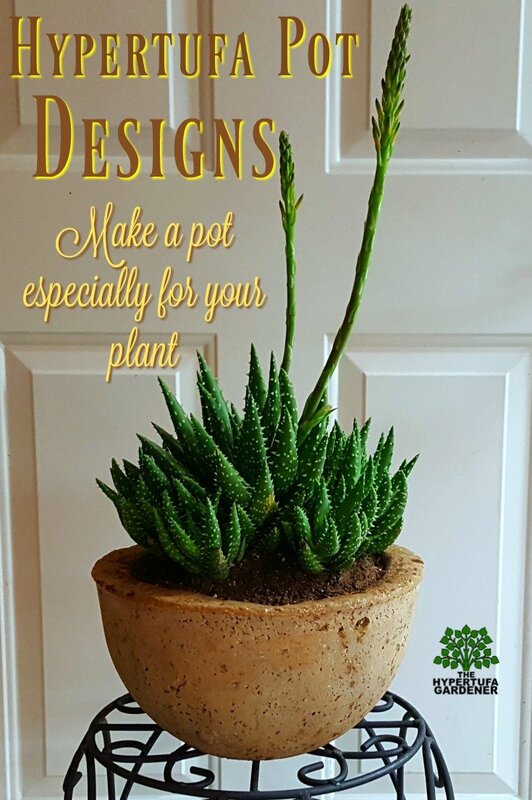 It was in that video that I chose what hypertufa pot design would look best with this particular plant and in today’s new video, I am showing you my process. I won’t show all of it ( or maybe I will) but I want you to see me make the particular hypertufa pot design that works for this plant. That is one of the great things about making your own pots. When you want a certain depth, diameter, style, etc just find a mold and go to it and make one yourself. It takes time and effort, but it is worth it. Some pots like this could cost $25 to $50 in heavy ceramic, but I can make it for a few dollars. Works for me! 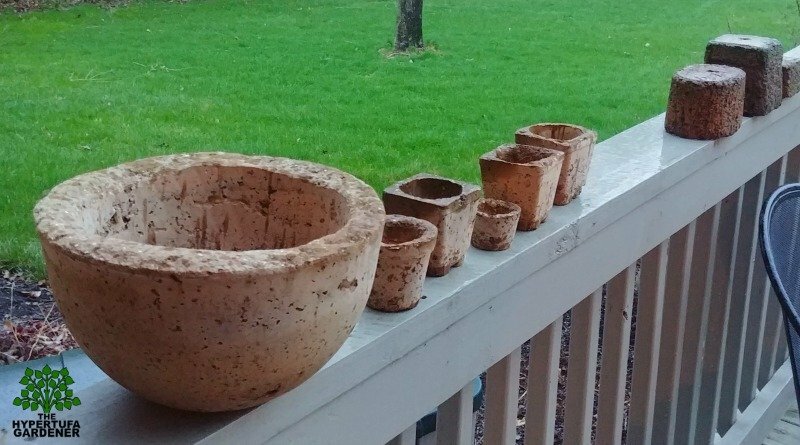 I used a coloring agent in Buff for these pots and in the future, I will film using some paints and other ideas I have for hypertufa pot designs. Don’t limit yourself by anything. Experiment and see what works and what doesn’t for YOU! I may like the painted look and you may not. To each his own. Meanwhile, here in Ohio in the USA, it is getting warmer and warmer (raining a lot though, but that’s for leaching! ), so I am able to make more pots. Meanwhile, I have a lot of work cleaning and planting old pots that have been outside all winter. All of these are beginning to green up or sprouting and creating new babies. I am scrambling to keep up. Whose idea was it to get so deep into houseplants anyway? Oh yeah, that’d be me! 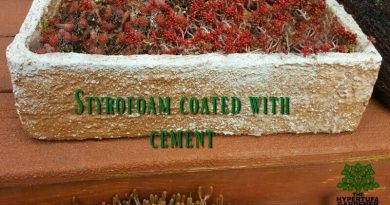 Why Would You Want To Make A Hypertufa Planter?